In the year 2000, we can say that western food was the number one choice among the youth. It’s also a famous food among the middle age at that time. However, these influences of the western food culture are becoming lesser over time with the advancement of technology. In 2010, the emerging of K-pop era is shadowing the western era as they emerge while being advertised through the Korean drama and K-pop singer artist that are rising in Malaysia at that time. The Korean world in Malaysia is so famous and they are well-known among the youngsters who have dreams to become like them. In other words, they become idols to most of the Malaysian youngsters. Hence, these epoch brings a new market into Malaysia food market as the demand for Korean food is inclining. 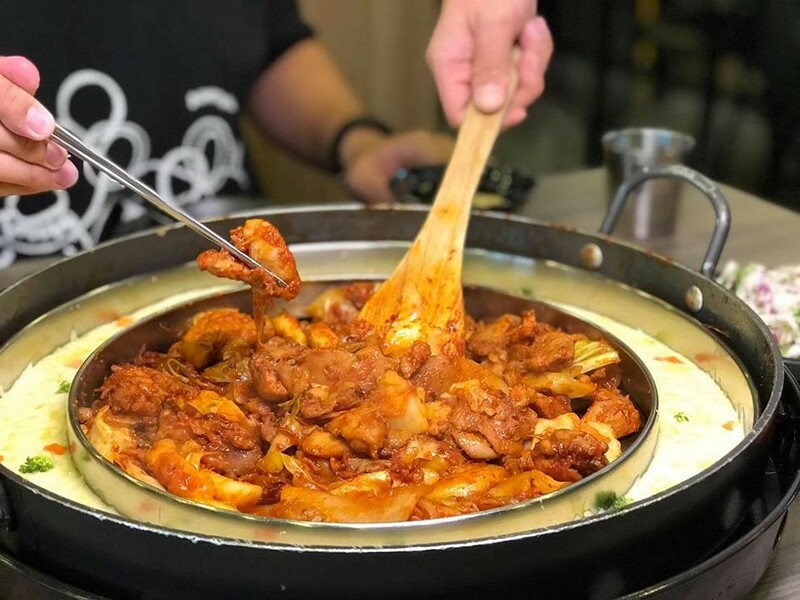 With too many Korean restaurants that flooded the Malaysian food market, the consumers will have difficulty in choosing the best one and for Muslim, their big concern is whether the restaurant serves Halal food or not. Most of the Korean food is in the mall as they think they are easier to reach and closer to the crowd but not all the restaurants in the mall are Halal. 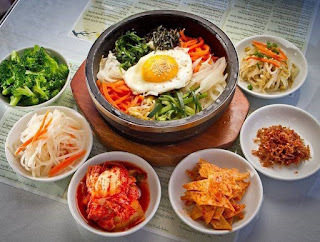 Here top 5 Korean restaurants that can help consumers to make the decision. 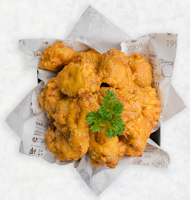 In Kyochon, they have a variety of Korean food that they brought into the Malaysian market. Their specialities are chickens and salads as they use 100% natural ingredients in their recipe and they also use only the freshest, healthiest chicken to serve their customers. Craving right now? 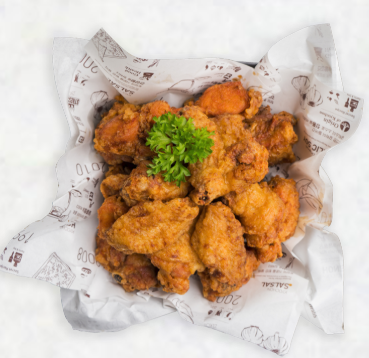 So, if you would like to try some of the Kyochon chicken, they have 3 types of chicken flavours that you can choose from the menu. However, the most favourite flavour is the red pepper chicken because of their spiciness and I strongly suggested you try this dish while dining there. Next, we have Myeongdong Topokki who also serves halal Korean food. Their famous dish is Topokki which is a chewy rice cake that is drenched with red spicy gravy that brings back the feeling of nostalgia and becomes a popular street food. 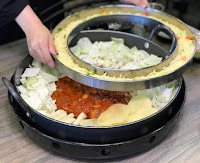 Myeongdong Topokki has been in the Malaysian food market for quite some time now and its slowly gaining a name in Malaysia’s Korean food market. 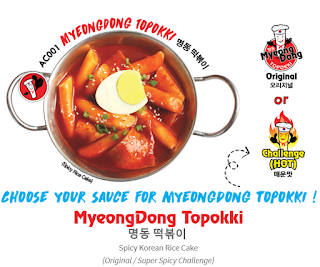 If you would like to try Myeongdong Topokki’s food, you can come and visit their kiosk or outlet at Sunway Pyramid, Paradigm Mall, The Mines Shopping Centre, IPC Shopping Centre, Sunway Putra Mall, One Utama, Pearl Shopping Gallery, Setia City Mall, Sunway Velocity and Ipoh Parade. Have you ever craved for seafood that is cooked in Korean style? Trust me, it’s really satisfying as we can feel the real taste of Korean seafood steamboat in our mouth! 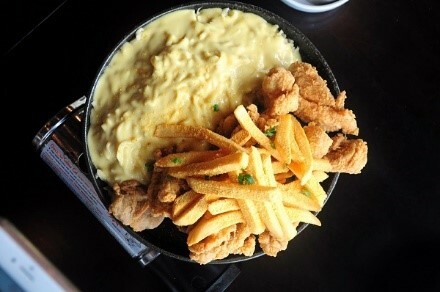 My recommendation, you need to try this steamboat even if it is once in your lifetime. The sauces that are used or the flavours that are being served in every dishes are rare and the taste is astute enough to leave you with an impeccable moment. Here’s some highlight for you to see. Most people are unaware of the truth that lies behind Kfry’s name. It’s actually a slang that being pronounced for Korean Fried Chicken. They are renowned with 7 flavours including Korean favourites, Spicy Yangnyeom, Soya Garlic and Honey Butter. 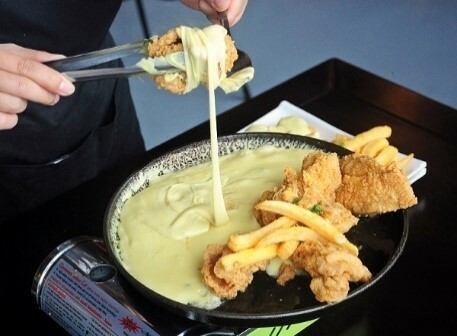 Besides, the most intricate thing is that they are using a unique Korean Double Frying Method for their fried chicken recipe. No wonder the chicken’s taste is so irresistible! For this Korean restaurant, I believe lots of people already know this restaurant as their most prefered Korean restaurant if they want to eat Korean food. However, I believe that lots of people don’t know that Mr Dalgakbi’s signature dish is their pan grill whereby the chicken in is marinated in their secret traditional Korean chilli sauce and will be stirred together with sliced potato, sliced cabbage, rice cake and scallion. In the nutshell, don't forget to try all of this Korea food. Happy trying!